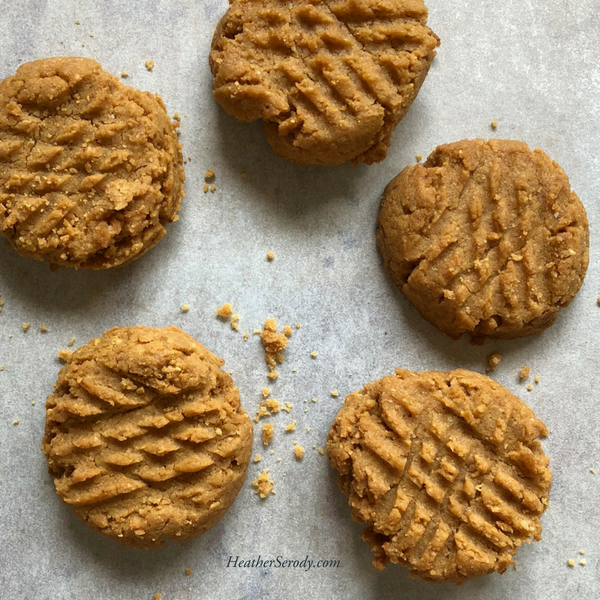 Man, do I love a good peanut butter cookie. 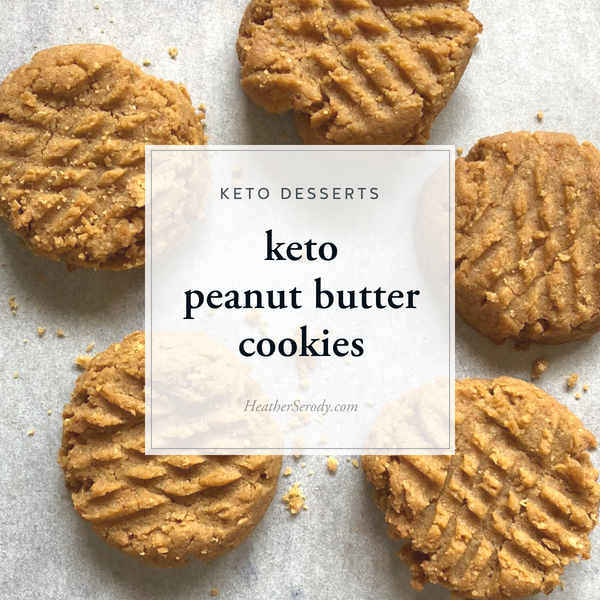 It's really easy to make keto PB cookies. Just make sure you get yourself some freshly ground peanut butter with no sugar added. Use one of those grinder machines at the grocery store and do it yourself- then run home and whip up a batch of these babies. 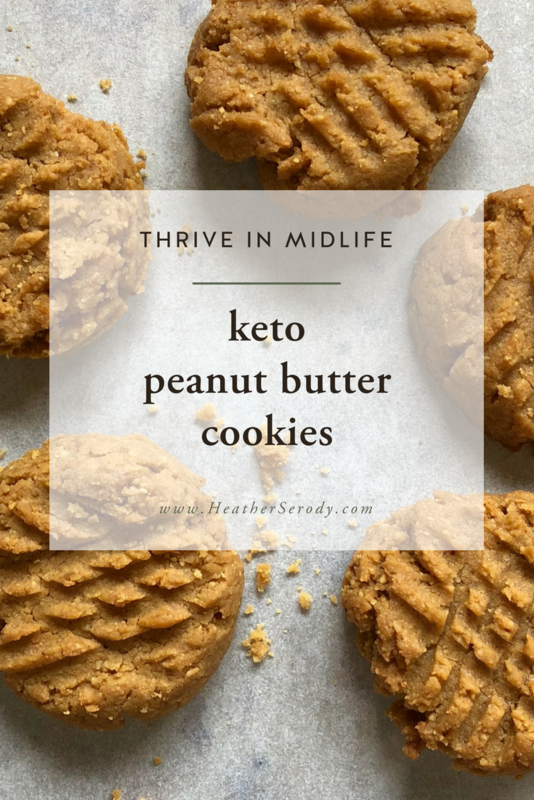 As with most keto baking, you'll need to stock up on erythritol for carb-free sweetness (I use and recommend Swerve). Remember that due to Swerve's unique properties, although it lists carbohydrates on the label, it is essentially a carbohydrate & calorie free ingredient, which is why I do not list carbs from swerve on my nutrition macros. For more on this, go here. I like to quadruple the recipe and then freeze the extras so I always have cookies on hand. The dough will be soft at first. Mix well and you'll see the dough become dense. For crispier cookies, bake a little longer, for alternately for softer cookies, remove from oven before the edges brown. Preheat oven to 350 ºF. Line a cookie sheet with parchment paper or a Silpat non-stick liner. Mix all of the ingredients together in a medium bowl until batter comes together & becomes dense. Using a cookie batter scoop, scoop out 20 balls onto your cookie sheet. Using the tines of a fork, press down the cookie dough balls to flatten the top, then crosshatch the other way for a pretty pattern. Bake for approximately 10 minutes, or until the edges of the cookies are just starting to brown.